These types of relationships can be so hard to heal from. The damage caused puts you into a state of confusion, you have no idea abuse is taking place; it is like Chinese water torture, it happens very, very slowly and it turns you insane! The pain is excruciating. Living from a place of FEAR leaves you confused. There are so many unanswered questions, you turn in to your very own super sleuth. You replay everything over and over again, perhaps with a different ending ‘if only’ ‘what if’… believing this is all your fault! What you experienced was horrific; crippling you physically, mentally, emotionally and spiritually. You are emotionally drained, people don’t recognise you, and you don’t even recognise yourself! You have been fighting so so hard to protect the relationship, you forgot to protect yourself! You have been so desperate to get back to the feelings you had in the beginning, you have justified their behaviour and you very possibly saw glimpses of who they used to be, just enough for you to hold on. You are a shell, you have been drained of everything. You gave more and more of yourself, you were drained of your energy, self-esteem, and very possibly your finances. And, just like playing a slot machine, you are still investing, playing for time; you are hanging in, for that big win you were promised, the fake future you planned together! The fear of walking away now and someone swooping in and getting the prize is too much to contemplate. I want you to think back to the beginning of the relationship, when the IDEALISATION was happening and I want you to be really really honest with yourself. During the first part of the IDEALISATION phase you very possibly saw a glimpse of who they really were, the mask slipped just enough for you to get a peek at the real person. Your gut told you something was wrong, you felt something deep inside you, but you ignored it. And I believe you possibly forgave them THREE times for maybe something they did or said? The FIRST time you forgave them and they promised never to do it again. The SECOND time they did it or something similar happened, this is TOTAL DISRESPECT! Of course, they were so so sorry, they may have cried or begged for forgiveness, you told them and yourself if it happens again, ‘that’s it, it’s over’. And then it happened again; TOTAL TOTAL DISRESPECT! What did they promise you this time? Did they say they were so so sorry and that it will never happen again? Perhaps they cried or begged saying they really hadn’t understood what they were doing, or how upset you would be or perhaps now they have only just realised how important this relationship is to them, this is TOTAL TOTAL TOTAL DISRESPECT! You knew you should have walked away but you didn’t, you wanted to believe them. What did you see, a broken inner child who needed fixing? This is a game and you don’t have the rules. There is a gift in this. I know it doesn’t feel like it at the moment, the confusion, needing answers, looking for closure. But this is the time to heal the original wound. You have been given this amazing opportunity, wrapped up in all this pain and confusion, if you want to take it. The temptation to cover up the pain is huge. To prove you are ok, putting on a mask. I have known people jump straight back into relationships or bed to mask the pain, thinking this is going to make themselves feel better, covering up the wound. And it works until the next time. 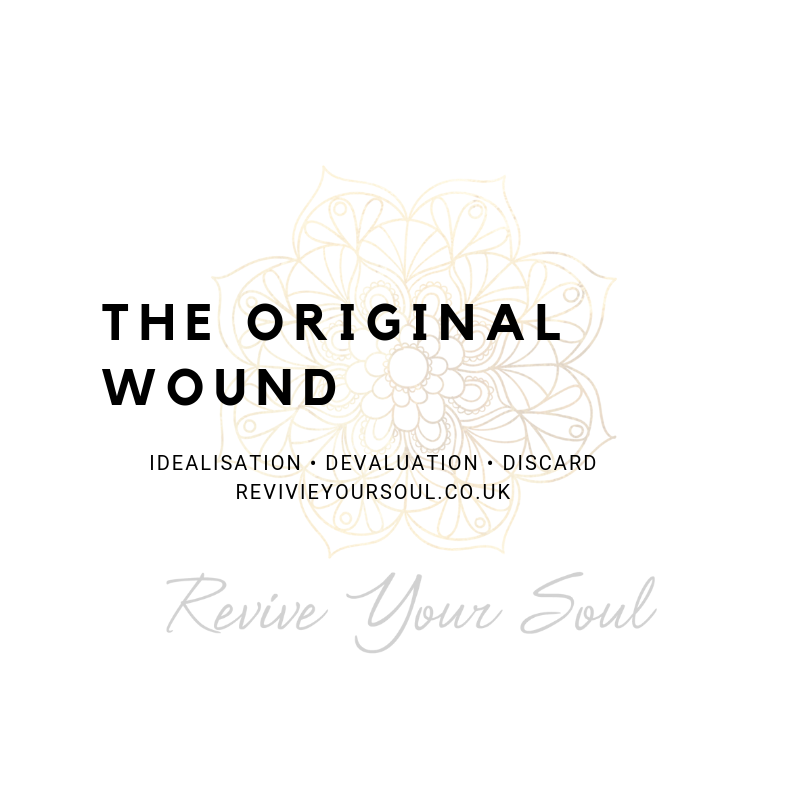 If you have been in a relationship with a narcissist, sociopath or psychopath there is at least one wound that needs to be healed, and it will be from childhood. And this is the gift. You have the chance to heal completely; they will walk away still broken. They will have no idea how damaged they are, or how much damage they have done. And this is partly why it is so difficult to get closure. This is a game and you don’t have the rules, if you start to work them out, they are changed quickly, to confuse you. Sadly, the trauma they experienced in their childhood means that they were trapped emotionally at a young age. Take a step back; what age did they revert to when they were in a stressful situation or challenged in some way? That is the age they are trapped at. Please remember it isn’t your job to fix them, that is theirs. And if you hear yourself crying out ‘but they need me’ remember – no they don’t. As long as they are getting attention, that is all that matters to them. The way they treated you during the relationship should make you run away, but they hooked up in a way that you now need to very gently detangle yourself from their toxic need to control. As quickly as you are able to, turn the tables, start looking after yourself. You may experience self-loathing, your self-esteem maybe on the floor; you have lost that inner spark and you could very possibly be suffering from Complex Post Traumatic Stress Disorder (CPTSD). You may experience feeling empty or extremely lonely. You have very possibly alienated your friends and family. Your senses may be on high alert, you jump at any movement around you. You may find yourself constantly replaying your relationship. You may find yourself asking if you are the abuser, it is a really common question. During the devaluation period you were fed information that you weren’t good enough. The things that you were put on a pedestal for in the beginning, were turned around and used against you. You may have experienced triangulation during the relationship, putting you in a state of confusion and causing you to experience jealousy, shame and guilt. We are all on the narcissistic spectrum, as babies we would never have survived if we weren’t self centred. Our crying alerted our care-giver to our need to be fed or changed for the need for comfort and security. As we grew, we became more self-aware. At this point anyone asking if they are the emotional abuser is more likely to be the victim; the abuser is in denial and plays the victim, they aren’t capable of believing any of this is their fault. Understanding this is Key to your healing. Healthy Narcissism is not punishing people, discarding them when they are no longer of use to you. You are the most important person now, you should have been from the beginning, but I have already spoken about that. Trauma is like a verruca, you need to track down where the root of the problem is. A verruca is a virus, if you don’t get the root out it sits dormant waiting to be triggered again. Listen to your body, every emotion is held there, ask yourself if you have felt this before and where it is from. you may have felt this from an earlier age. It is really important that you track the trauma down and remove it. Most of the women I have worked with have some form of an abandonment wound. Now is the time for you. Why’s it so hard to move on?